The Green Grill serve up utterly unique vegan burgers, the like of which have yet to be seen on the UK food scene! This is the kind of plant based food that will have meat lovers drooling just as much as the staunchest vegan. 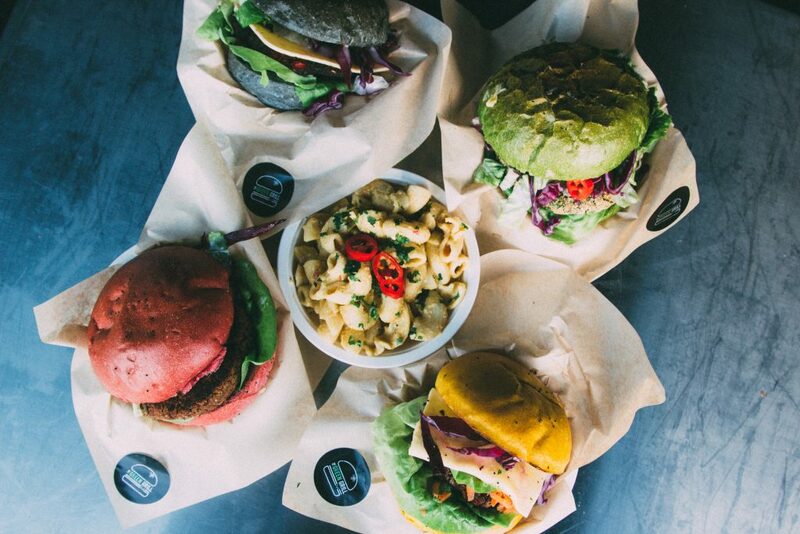 All of the buns are made with totally natural ingredients and dyed using dehydrated produce to give them the vibrant colours – there are absolutely no nasty additives or preservative included at any stage of production and all the patties are handmade using only quality ingredients. Healthy junk food is how we describe it!